No One Can MAKE You Feel That Way…. Really? And yet don’t look too good, nor talk too wise…. Never being one to shy away from difficult, paradoxical or even controversial subjects, I thought today I would dive into the neuroscience around whether or not we “make” other people feel things. I hope someone has my rope……. This one is complex. they actually have some choice around their reaction. This distinction (if not already understood) is incredibly helpful and empowering. It takes them out of the land of victimhood and powerlessness, and opens the way for them to be at the helm of their own lives. And I want to add that it’s becoming more and more clear to me in my neuroscience studies that many of our coaching techniques are ways we help people learn this. Through coaching we help them manage their automatic stress reactions so that they can be calmer and more effective in life, choosing to respond rather than react. Helping them find their own power by letting go of blame and looking to see both what they did to create negative situations and what they can do to shift them (for more on this, see my December 2011 post on Stress Reduction Through Coaching). Ok, yes, I’m sure we all agree that it is important to understand that we must be responsible for our own reactions, learn to calm our fight or flight responses, and therefor — no one really makes you feel anything, right? Well this is, of course, where it gets complex. For further understanding, it may be that we need to consider what the mind is, not just the brain. And for that, my money right now is on Daniel Siegel, author of Mindsight and head of the Mindsight Institute. He defines the mind as “an embodied and relational process that regulates the flow of energy and information.” An embodied — that is, we get information and input not just from the brains in our head, but from our entire body, and relational process — energy and information flow between and among people, and are monitored and changed in this shared exchange. If your client is in a relationship where they are continually ignored or treated badly, it’s not fair to say that their reactions are only happening in their own mind. We are relational beings, interconnected and designed to feel each other. As I pointed out in my post on Level One Listening, we use the same part of our brains to think about others as we do to think about ourselves. It is impossible to totally pull apart the me from the you. Our brains are designed to be impacted by the actions and emotions of others. This is not only how we survive, but how we thrive. 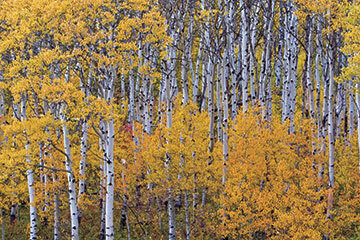 There is a grove of quaking aspen in Oregon that biologists say is the largest living organism. The roots interconnect and the trees all send information to each other continually. Each individual tree just looks separate. They really aren’t. The more I learn about the brain, the more I wonder about us……..
I’ve been wracking my own brain trying to think of an analogy for how the three parts of the brain work together and help us understand Level One, Level Two and Level Three listening. For some reason I keep thinking of a family at the zoo. One wise parent (the Right Brain) is watching everything, aware and vigilant and taking it all in. This parent can’t really talk, so they use other means of communication. The other parent (The Left Brain) is looking at specific things, enjoying a particular monkey playing, for example. This parent is probably also reading all the scientific names and habitat information! And their child is acting out the animals themselves, making monkey noises, and putting their body in the shape of an elephant or giraffe. The child is always on the side of Righty, where Lefty can’t see it. So Righty has to poke Lefty or find other ways to get Lefty’s attention so Lefty can understand and explain what the child is doing, learning and understanding. Whew. Sometimes metaphors can be a bit strained! Let me say right now that this is a highly imperfect way of looking at how the brain and listening work, but it’s the best I can do at the moment. As I have been exploring in the past three posts, one way to think about listening in the coaching relationship is to think of Level One, Two and Three as different aspects of the brain. If we think of Level One as the active child in this analogy, this is the part of our brain that makes sense of things through our own experience. In my post on this subject, I look at the interesting research that shows we use the same part of our brain to think about other people as we do to think about ourselves. This child is experiencing the zoo by experiencing it, understanding what is going on by imitation and embodiment. What does it feel like to be an elephant? Let me try it! When we do this as coaches (and in general in human relationships) we do it pre- or sub-consciously. We map things onto our own experience in order to understand. And if we can’t do this, to a great degree, we can’t really understand. In other words we need our Level One listening — but as coaches, we must be responsible for it. Acting like an elephant is of course not the same as being an elephant — this is where the other levels and curiosity come in. But this brain doesn’t connect well with the child, with the embodied understanding. The child’s wisdom comes to the other parent, the Right Brain, or Level Three listening in this analogy. This parent is watching everything all at once and nothing in particular. And while the Left Brain parent can’t see everything, this parent (the Right Brain) can’t speak very well. So they look for ways to poke the other parent, both in terms of the interesting things the child is picking up on as well as the other things in the environment they are sensing. Then the Level Two/Left Brain parent can speak about them, and focus them in a way that is helpful to the coaching client. It’s a partnership, and I think the most effective coaching happens when this family is harmoniously exploring together. We never want to break them up, even though each member may lead the way at times. 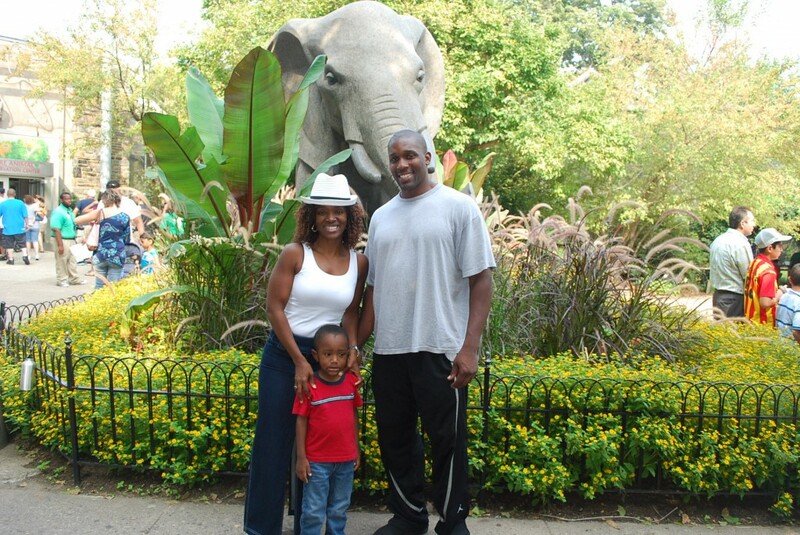 We need them all to work with our clients, to understand the world, and to enjoy the zoo. As always, I offer these thoughts with love and openness and curiosity — what makes sense to you? What analogy would you use? What am I not thinking about or ignoring?